Please contact this business directly while we work to confirm this information. This business has indicated that they guarantee or warranty the work they perform. Warranties can differ from business to business and may be subject to limitations, including time, mileage, deductibles, businesses authorized to perform warranty work or special procedures required to obtain reimbursement. Please contact this business directly for specific information about their guarantee or warranty policy. Always A Truck Near You! Service, Quality and Trust. 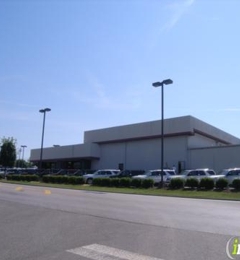 We have served central middle Tennessee for over 50 years. Repeat Award winner for Outstanding customer service. Recently, during extreme freezing weather, the RV transmission failed while on the way to a conference. AAA dispatched Harpeth Towing and Recovery. After hours, a driver arrived with a shabby sort of wrecker that appeared to be somewhat homemade. Right away, the large man stated he was unsure how to tow the RV, then he began making deceptive, critique statements and acted angry. I backed away and he came even closer. He did NOT seem confident. Instead he was very arrogant and uncaring. He left without ever towing the RV stating he did not care about me or what happened to me or the RV. 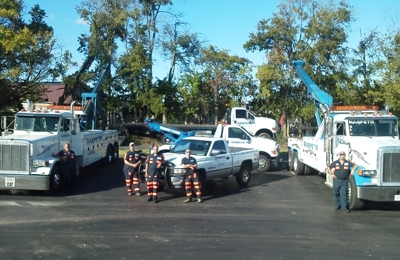 BE-AWARE and BE-CAREFUL of Harpeth Towing and Recovery. They have shown they do NOT care if you live or DIE, and even know they will cause damage to your vehicle and evade from ever being responsible. Really, Really stay aware from these criminal TERRORIST! I am a former employee of the parent company, Barry Alexander Automotive, who owns Harpeth Towing. It is shameful that they are using Harpeth Towing and its employees as a means to carry out unlawful acts against former employees. On May 28 they repossessed my vehicle. I called to make payment and regain posession that VERY SAME DAY but was told that I could not pick up my vehicle until 05/31/16.On 05/31/16 I went to get my vehicle. Immediately I noticed the damage to my tires. They had been worn so badly wires were poking out. There were skid marks where my vehicle had been pulled in multiple times at an extremely accelerated speed. On the way home I noticed my vehicle was running abnormally rough, jerking and stalling. Got it home, checked it out and went to drive it again but suddenly it wouldnt start. The oil had been drained from my vehicle and the engine is blown. Ironically,no one will return my emails or phone calls regarding this matter so I am forced to take this public. Over a year ago my car crashed and I needed a tow. I had to rifle through the glove box to get my insurance info and left the contents spilled in the passenger seat. The car was transported from Wilson Pike around 4:45PM to Rhea Little's shop about half a mile away several minutes later. In that time, a money clip given to me by my recently deceased father containing $100 cash went missing. I went to Harpeth Towing's office on Alpha Drive and spoke to an assistant manager who took my name and information and promised me he would contact me. He never did and nothing was ever recovered. These people are scumbags and thieves and will cover up and protect each other however they can. Do not use their business. I had to call AAA and they sent Harppeth Towing and Recovery. The Tow Truck Driver was really nice and very professional, but I did have a 4 hour wait for a tow. It was one of the warmer days. It would have been nice if they would carry bottled water in a cooler on hotter days to offer to people who has been waiting with their cars for a while. I know they may have been busy or stuck in traffic.